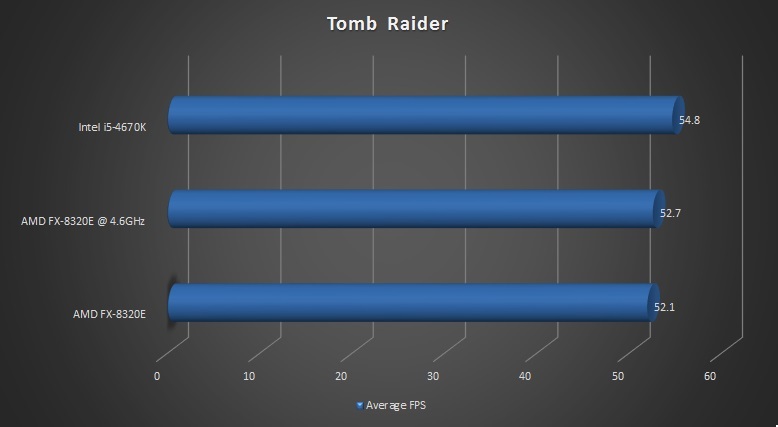 Is the RX 470 just making up the numbers or is it a legitimate option for less demanding gamers? If you game at 1080p on a 60Hz monitor and want a card under the $300 mark it’s worth a serious look. 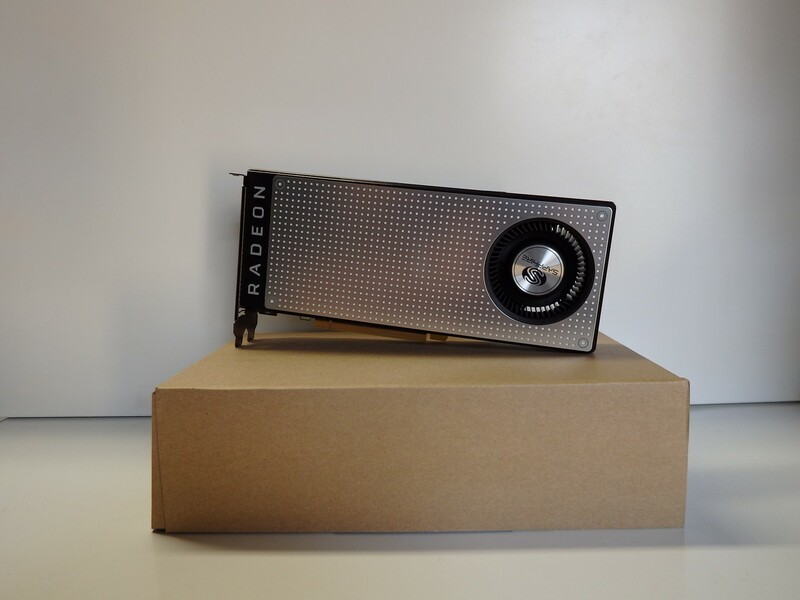 The RX 480 had more grunt than some 1080p gamers need – of course it depends on what you play and the refresh rate of your screen but in our benchmarking of the RX 480, we regularly saw frame rates over the 60FPS mark. This caused us to think about what sort of performance we would see for $100 less and how much we would have to sacrifice on eye candy. 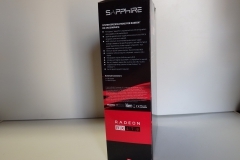 Enter the RX 470 OC edition from Sapphire. The RX 470 GPU is rocking the new Polaris 10 architecture and does well in the current DX12 titles. There are 4GB and 8GB versions of the RX 470 cards on the market, some more overclocked than others. 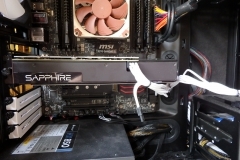 This review looks at the Sapphire RX 470 OC 4GB edition – it’s one of the cheapest on the market and it features the blower style cooler. Don’t let the stock-style cooler put you off, the price to performance ratio is worth a second look. 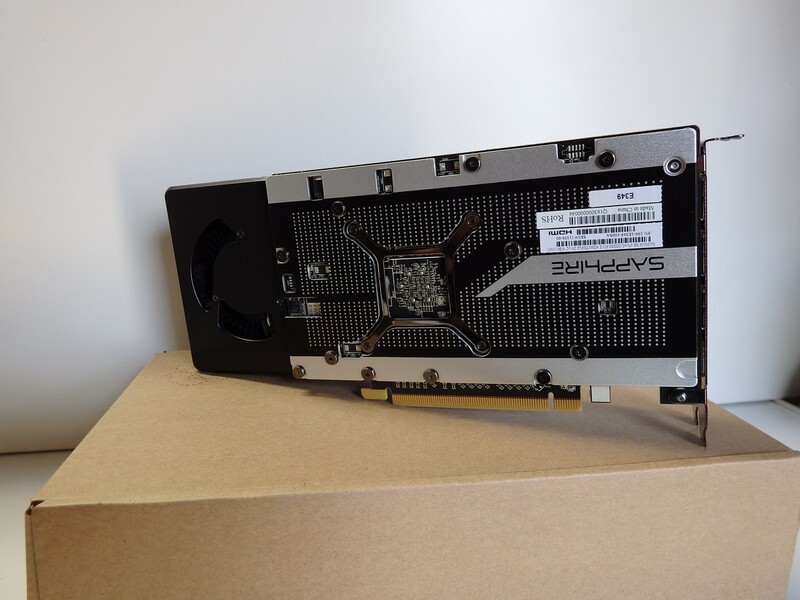 The Sapphire RX 470 OC edition has a stock blower type cooler but it’s silver and includes a nice backplate as well. The card doesn’t make excessive noise under normal settings but it can make more than 51dB(A) when overclocked. The best stable overclock we saw was 1282MHz but what you get with the factory overclock is impressive enough for the money. It’s also a 4GB card which adds to the value proposition. Unless you need the 8GB version for texture packs or high resolution, the Sapphire OC edition could be ideal in that is has both 1080p performance and a lower price tag. Once you start looking at the overclocked, custom cooled 8GB versions of the RX 470 GPU, the prices start to get close to the RX 480 cards which will probably hurt the sales of enthusiast RX 470 graphics cards. 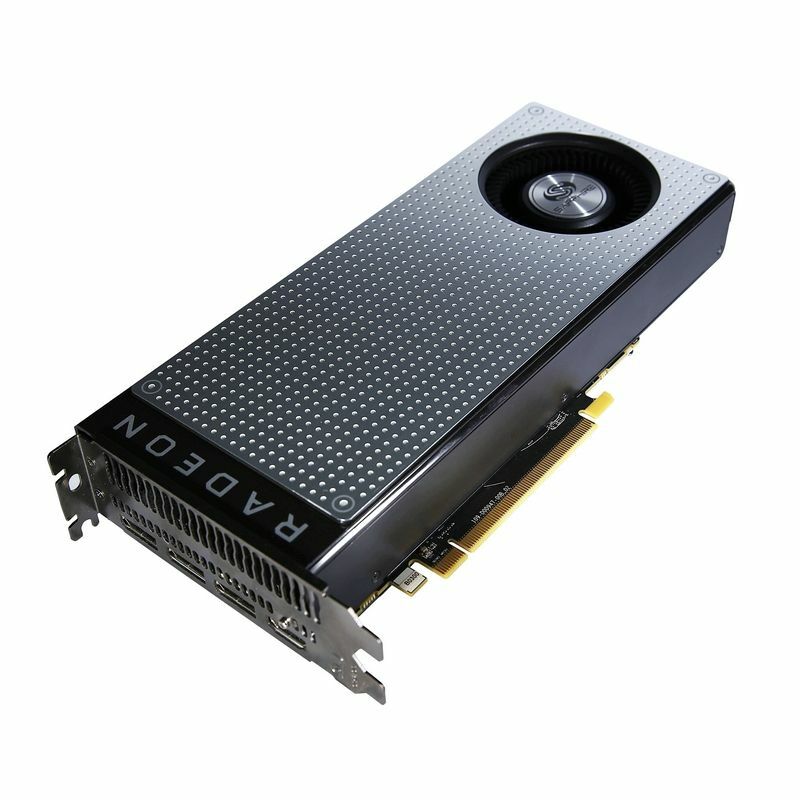 At under $300 the leaner Sapphire RX 470 4GB OC becomes an easy choice for us given the test results. As with other current AMD GPUs, FreeSync is supported to smooth out the experience if you have one of the quickly growing list of monitors that support FreeSync. There are some ‘budget’ FreeSync displays hitting the market as well that we will be looking at in the near future – These cheaper FreeSync displays combined with affordable RX 470 cards that can deliver 1080p and respectable DX 12 could be a shot in the arm for AMD come Q1 of 2017. 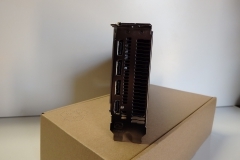 The card comes with 1 HDMI and 3 DisplayPort connections – there is also a HDMI – DVI dongle for those with older monitors. The blower-style cooler needs that full hight vent which we expect makes cramming more output ports on the back of the card a bit tricky. 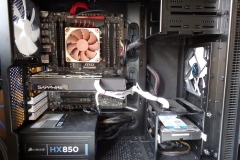 The Crimson software from AMD performed well, remaining stable on the MSI X99 test rig, the Z97 ITX test system and in the 990FX AMD Test system. We didn’t see any memory leaks, lockups or other issues at a system level, nor did we experience any in-game issues or driver crashes. To date, we haven’t seen any issues with the Crimson series drivers on any of our test systems so this came as no surprise. 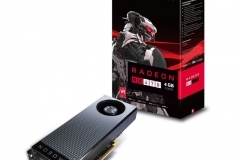 During the final stages of this review, we also tested the Radeon Crimson ReLive driver and found this to be solid as a rock with the additional functionality of recording gameplay. AMD continues to improve their track record of drivers which is good to see and the community appears to be gaining confidence in Team Red on this front. 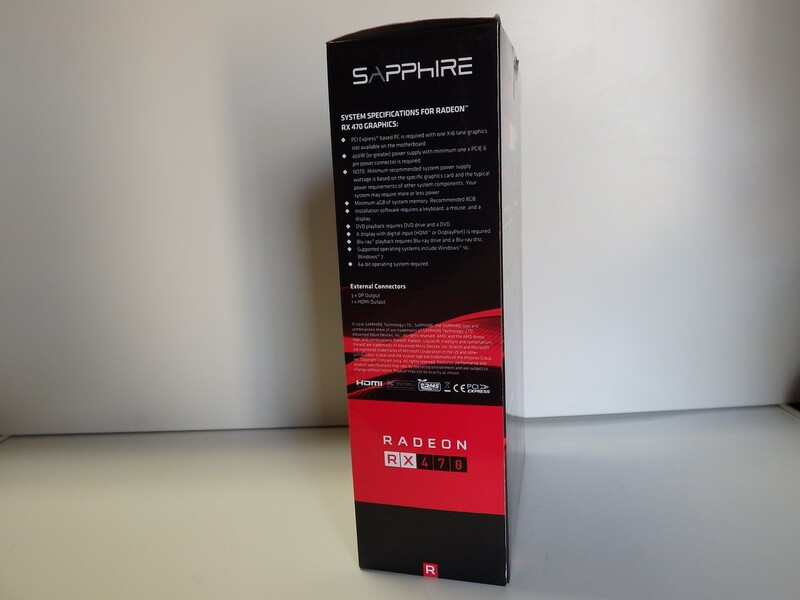 The full specifications of the Sapphire RX 470 OC 4GB are listed below. 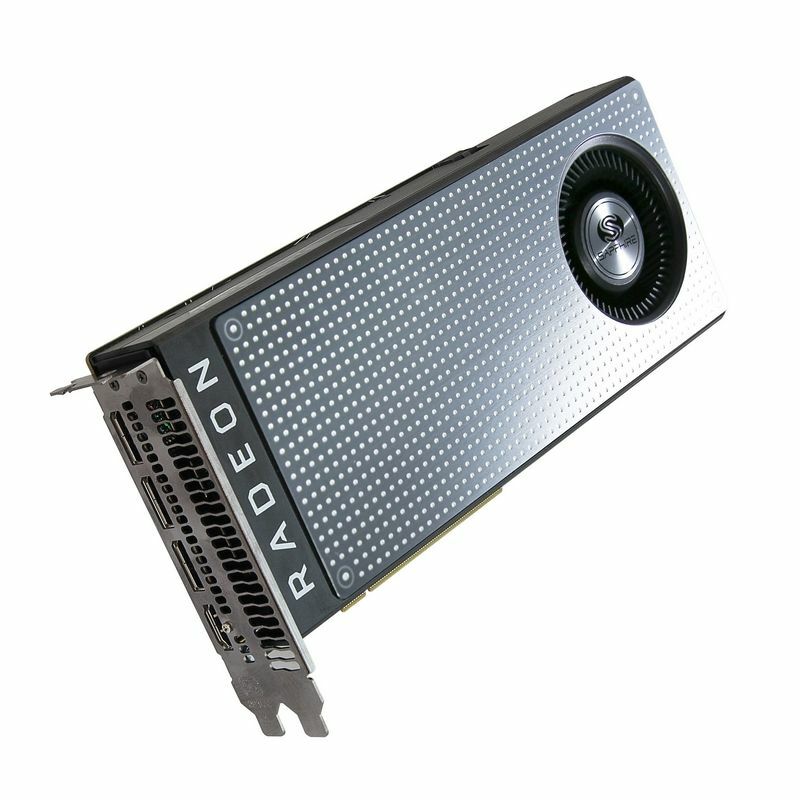 For comparison, the RX 480 has 36 Compute Units and 2304 Stream Processors and the same 256bit Memory interface also drawing over 150W. This comparison is worth keeping in mind when looking at the test results. 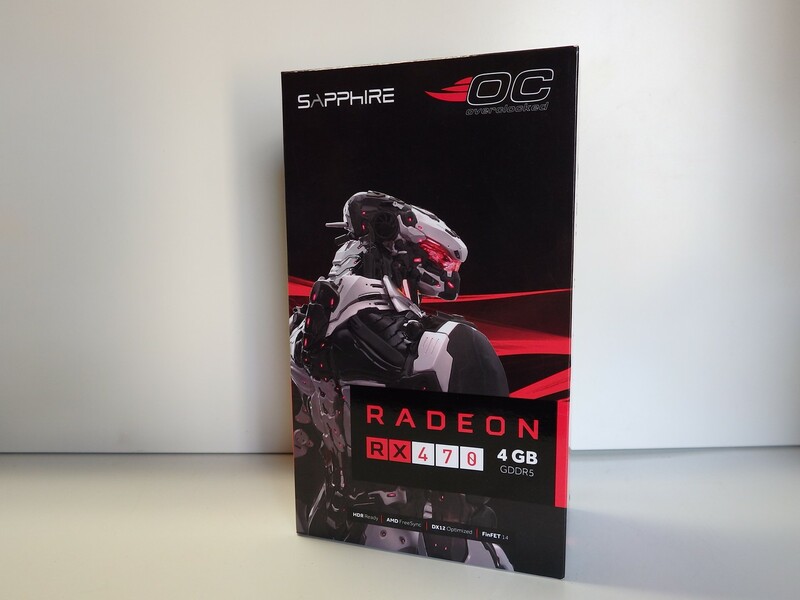 The Sapphire RX 470 OC 4GB card looks like a snazzy version of a stock AMD GPU. It has the same style shroud and cooler but the shroud looks more attractive with the silver finish, the hero of the card is the back plate. The back plate will help dissipate heat and help protect the PCB from clumsy actions when installing it. As this is our first Sapphire card, we don’t have any hands-on experience with the brand or previous product experience to influence our expectation of build quality. 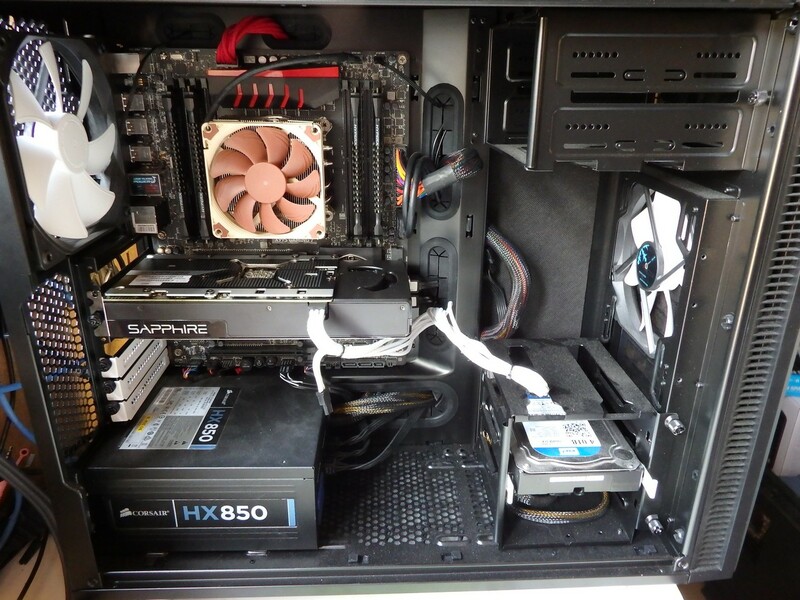 The card itself didn’t show any signs of bending or misalignment, the cooler remained quiet and didn’t have any clicking, ticking or whine as far as the fan went. There was some coil whine at high FPS in menus etc but this wasn’t any worse than the AMD stock RX 480. The review period was extended to almost 3 months for this card where we ran it almost every day and stressed it with benchmarks and games. We also moved it between 3 different systems. At the end of our testing, the Sapphire RX 470 OC 4GB didn’t show anything that indicated a compromise in the build quality. We tested the AMD RX470 on our MSI X99S Gaming 7 test rig as listed below for all of the benchmarking and general game-play. We also used the BenQ XL2730Z 144Hz 2560×1440 27″ display via DisplayPort using the cable that came with the monitor in the retail box. 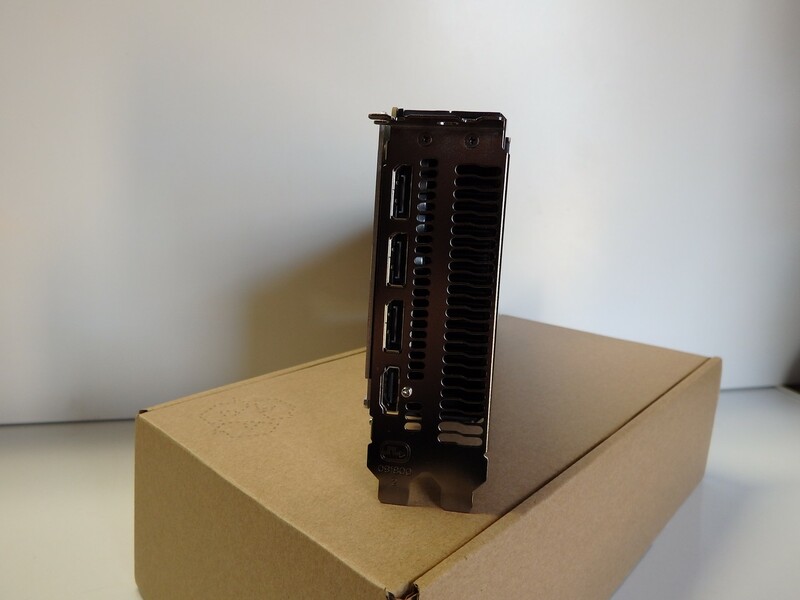 We also still had the Noctua NH-L9x65 fitted from a previous review but left it there due to the ease of access that it provided for the PCIE release lever and access around the board. 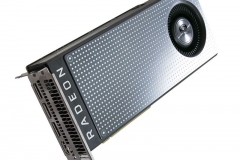 The RX 470 performance sits consistently between the RX 480 and the older R9 380 GPUs. Interestingly, in the Time Spy DX 12 benchmark, the RX 470 performs very closely to the previous generation NVIDIA GTX 970. At 1080p, the RX 470 hits 80.5FPS and 54.4FPS at 1440p. For 1080p gaming, we’d call this a good result for a lower-end GPU. Hitman Absolution is an older title that still puts the hurt on modern GPUs. The RX 470 trails by less than 4FPS in the benchmarks when compared to the more expensive RX 480. The 1440p result for Bioshock Infinite is almost 80FPS which will make for smooth game-play but almost 120FPS at 1080p is something that all gamers should be happy with. No complaints here, Sniper Elite III is usually heavily discounted when on sale and the RX 470 will play it without any dramas at both 1080p and 1440p. GTAV at 1440p is less than ideal and would need to be tweaked for a 60FPS average but at 1080p, the RX 470 is a viable option, averaging a touch under 60 at 59.6FPS. The Division is a demanding title on “Ultra” with the RX 470 not able to break 50FPS on average but when you notch back to “Very High”, the result is almost 10FPS better on average taking the average on the benchmark just under the magic 60FPS mark at 1080p. The RX 470 was delivering just below the NVIDIA GTX 970 in this DX 12 benchmark but neither card are going to deliver the Extreme graphics setting with consistent smoothness. This is another title where gamers should expect to notch things back in line with the price tag. 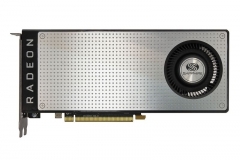 Once again, we see the new Polaris GPUs doing well in DX 12. 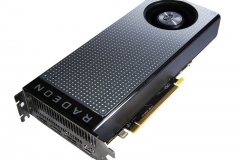 The RX 470 performs in between the NVIDIA GTX 970 and GTX 980 cards with almost 65FPS at 1080p. At this resolution, the game is enjoyable – probably more enjoyable than it should be for a sub $300 card. When testing the AMD RX 470 in general gameplay, we had both FRAPS and any in-game frame counters running so we could see the frame rate for reference when needed but also to note any material variations. The methodology is to play the game and note the typical FPS, any rendering issues, look for stutter and also keep an eye out for imperfections around colour or missing textures that impede the immersion. We saw around 55-58FPS at the ‘Very High’ setting. This graphics setting is still very immersive and the gameplay was fine overall. There were occasions when things got really busy where the frame rate dipped – which is to be expected. For a Division enthusiast who wants to play at 1440p, we’d recommend saving up and going up a tier or two. At 2560×1440 we saw a solid 120FPS which suits competitive play. 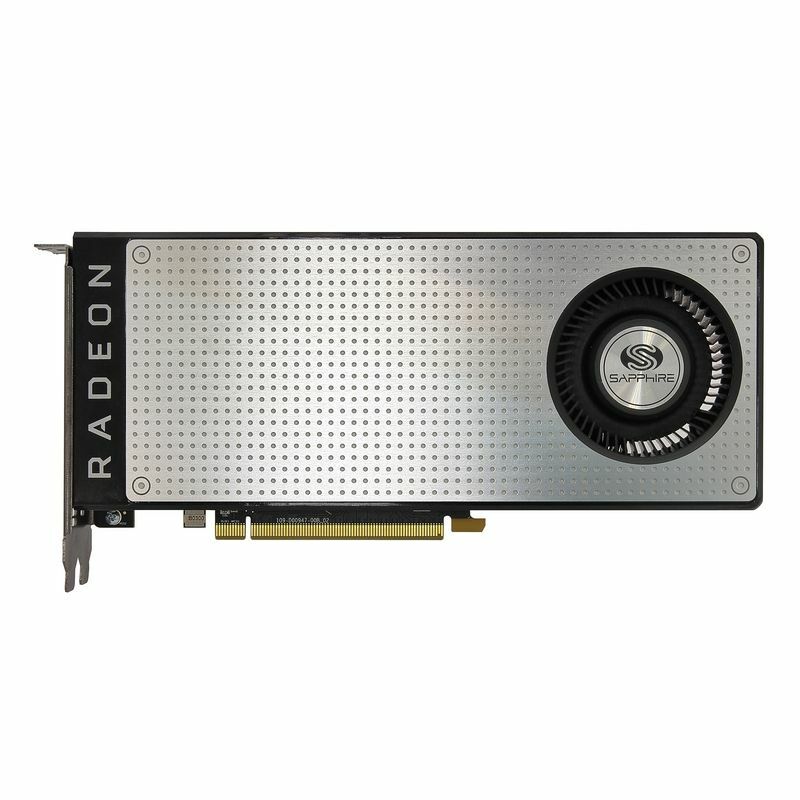 It’s an older title but given its popularity and price we think it’s also a good match for the RX 470 GPU. This was interesting. DX11 and DX12 average results were very similar but in DX12 on the AMD test bench, we saw some nasty frame rate drops. From what we can see, this looks like an issue with the game, not with the GPU but we still had to play Battlefield 1 at DX11 due to the less than ideal DX12 experience. At 1080p on Ultra, we saw a typical frame rate of 75-80FPS which dropped to around 55-60 at 2560×1440. Playing Titanfall 2 at Very High settings with AO off delivered 70-80 FPS at 1080p and just shy of 60FPS at 2560×1440. The RX 470 will allow gamers to be competitive at these resolutions and despite my n00b status in the game itself, I was able to be competitive and not feel in any way hampered by the RX 470 GPU. Visually, Titanfall 2 still looked amazing at the Very High pre-set. Elite: Dangerous can be a powerfully addictive title for many people but thankfully, if you do get hooked on it and you have the RX 470, this GPU can deliver 70-80FPS at 2560×1440 with everything cranked up in the base game. At ‘High’ graphics settings running at 1440p we saw the occasional dip from 60FPS to 55 but at 1080p on ‘Ultra’ graphics settings the RX 470 had a typical result of ~80FPS – this is enough grunt to keep you immersed in exploring the post-apocalyptic wasteland. At 1440p, we saw a typical frame rate of ~80FPS with High textures. This was enough to be competitive in multiplayer mode at a ‘casually competitive’ standard. At full detail, running on 2560×1440, the RX 470 gave us 200+ FPS so this is clearly overkill. At 1440p, with the ultra pre-set, we saw a typical frame rate of 47-53FPS. At 1440p with settings at ‘Ultra’, we saw a typical frame rate of 48-56 but this went up to a typical 62-66 with the quality dropped to ‘High’. With the more realistic 1080p resolution, ‘Ultra’ gave us 65-75 but ‘High’ offered up 99-120FPS. 2650×1440 gaming at full graphics options delivered 71-75FPS. Everything looked great and the RX 470 didn’t have any issues smashing out round after round on this Free to Play title. 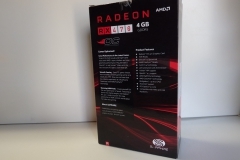 The RX 470 is capable of pumping out a typical experience of 57-65FPS with High settings at 2560×1440. We should point out that there can be significant variation between levels in this game and our testing was undertaken in both the ‘Dome’ section and the very first level. 1440p gameplay was viable here as well – when we could find a game. High quality settings saw ~80FPS as a typical result with the FPS dropping to 65-75 when we notched things up to the Ultra setting. Even though XCOM 2 is a turn based game, there are a lot of animations and FPS drops can be annoying. 1440p at High was surprisingly playable with FPS of 35-45. Dropping the resolution to 1080p gave us a 10FPS boost in performance. This was a strange one and I found myself able to play XCOM 2 at 1440p with the lower frame rates quite comfortably. 1080p is the best experience here with high graphics and high post processing resulting in 55-65FPS. At 1440p, compromising the graphics to medium still gives a hit to frame rates, delivering a 45-50FPS result. The RX 470 OC from Sapphire proves that respectable performance can be had in a large number of games including current titles for less than $300. 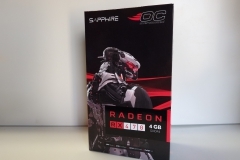 Consider that this Sapphire RX 470 OC 4GB edition is going to be handy for anyone building a small form factor rig as a steam machine or lounge room gaming rig for gaming at 1080p. Chances are that the RX 470 GPU with a factory overclock will be adequate or perhaps even overkill depending on what you play. 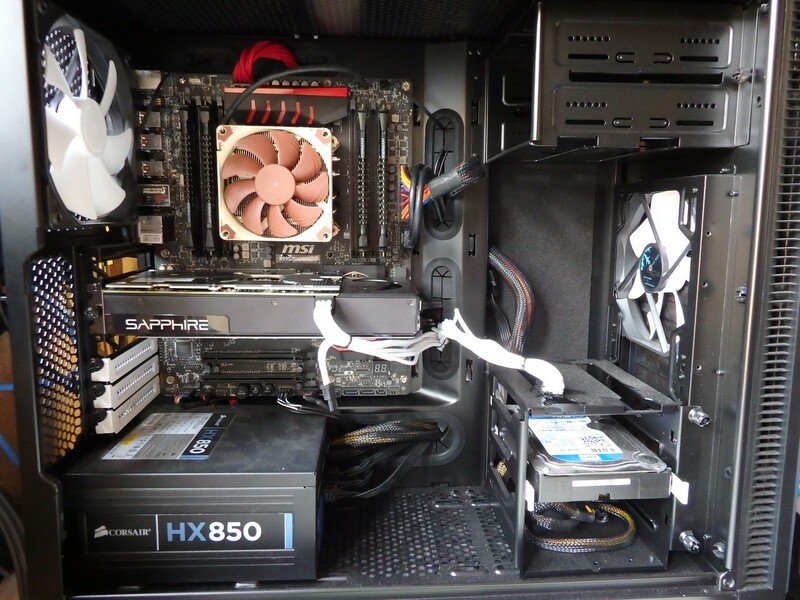 The stock-style cooler will also keep the heat out of the chassis in small cases or cases with minimal airflow. 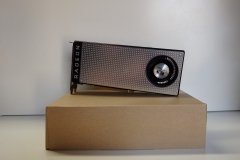 I wouldn’t hesitate to pull the trigger on this particular RX 470 card in a budget build. 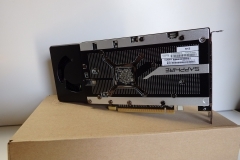 Whilst the GPU can struggle with some of the more demanding titles at high or ultra, that’s why there is an upper-mid-range, high-end and even enthusiast (extreme) level of graphics cards on the market. 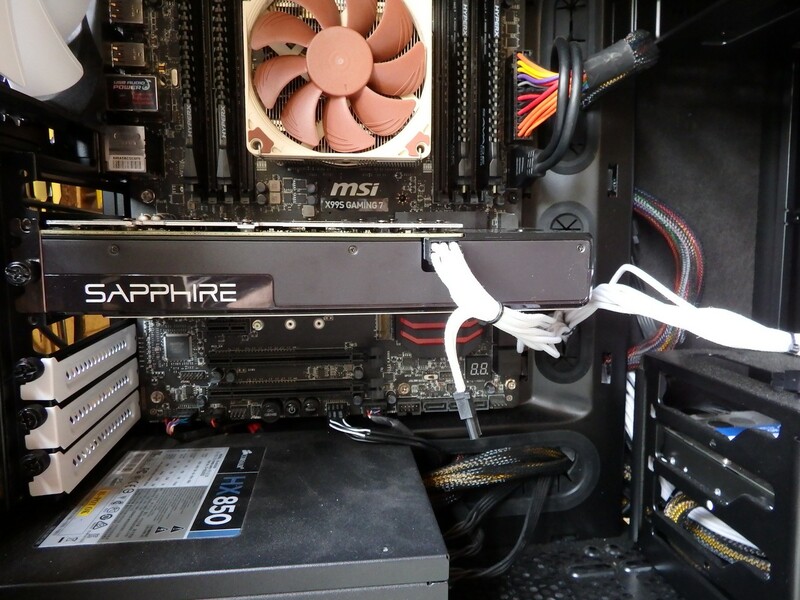 The Sapphire RX 470 OC 4GB with blower cooler isn’t the quietest RX 470 available but it does the job. The card didn’t go over 79C in our standard testing and the noise profile wasn’t offensive with the clocks left at default. During our overclocking testing that yielded a limited material benefit, the fan had to really wind up to keep the card under 83C. The overclock was limited to 1282 MHz which translated to an average performance bump of just under 3 FPS in games like Hitman, Ashes of the Singularity and GTA V. For the effort and noise, it wasn’t really worth it. The decibel meter reading was 51dB(A) for the cooler when overclocking. 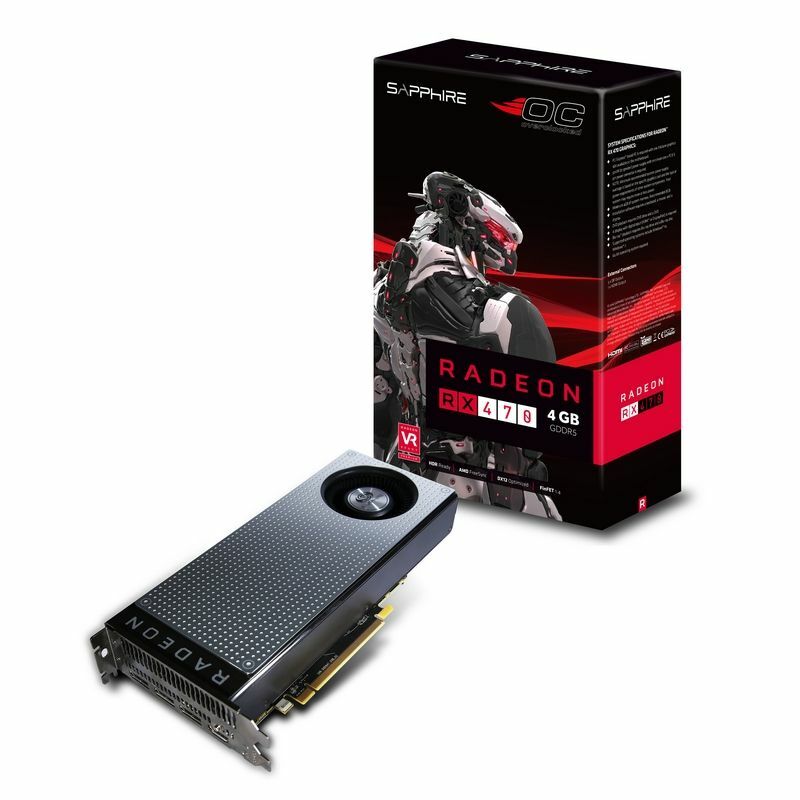 I’m not going to call this a bargain or cheap GPU but the Sapphire RX 470 OC 4GB is a very reasonable graphics card in the sub $300 price point. This now means that there is an affordable product out there capable of playing all but the most demanding titles with a resolution of at least 1080p at moderate to high settings. The kicker is that you can also get a 4GB version of the RX 480 for about $50 more than the 4GB RX 470. As is always the case with PC components, you can always spend “just that little bit more” so in terms of pricing I’ll close off with this: If you have a budget of $300 and not a dollar more, the Sapphire RX 470 OC 4GB edition would be my choice. 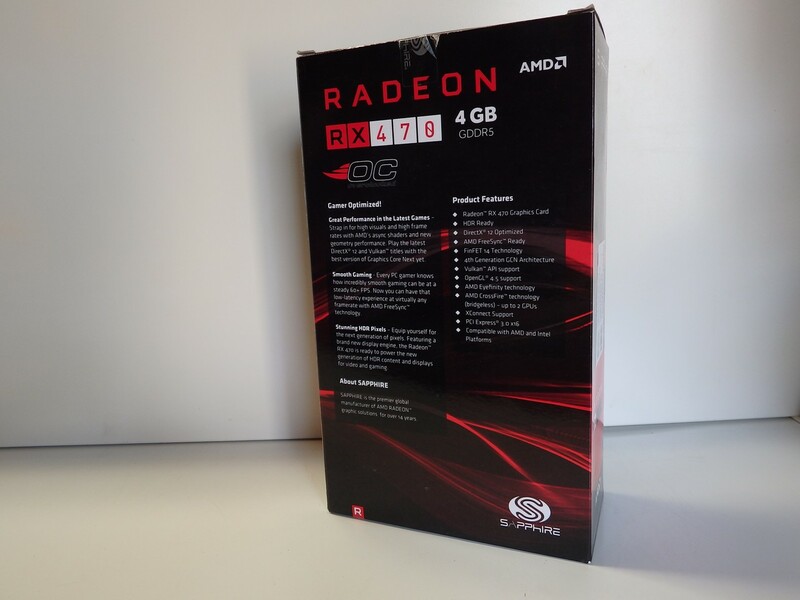 I really liked the AMD RX 480 and to be honest I initially thought having the 470 bridging the performance drop to the entry level RX 460 was of limited value. I used the RX 470 for a longer than average review period and really made friends with it. 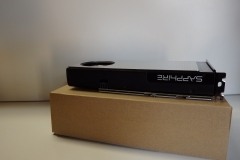 We had it running in the FRAGABYTE mini ITX build and the experience was good for a console alternative in the lounge room. Of course we’ve seen better frames per second on other more expensive cards but when we hooked the RX 470 up to a 60Hz monitor at 2560×1440 and just ‘used’ it every day for a month we didn’t find ourselves wanting for more grunt that often. We had to dial back the settings from time to time but 80% of the time we were satisfied with the performance and didn’t notice anything taking away from the immersion. The $50 you save by going with a 4GB 470 instead of a 4GB 480 could mean the next size up in an SSD or HDD to store more games, or perhaps a better quality peripheral. Perhaps that $50 could set you up with a Steam Holiday Sale fund to splash out on that digital library later in the year. At the end of the day, it comes down to what you play. Look at the benchmarks, and the indicative results in this review and others like it. If it plays the games you like at your monitor’s refresh rate then you’re in luck – also remember that when paired with a Freesync monitor, lower FPS in the 50s are less noticeable on an AMD GPU. This was our first Sapphire branded card and we don’t have any complaints. The aesthetics are good for a reference style cooler but the back plate is really nice to see and is well implemented. If I had to describe the construction and appearance of the RX 470 OC from Sapphire in a single word, I’d go with “Neat”. 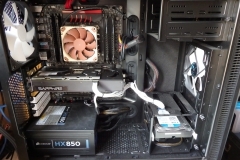 Acoustically, it’s a blower-style cooler that is ok under normal circumstances but not as good as the more expensive dual-fan open-style coolers like the Twin Frozr or Strix. The RX 470 is an easy GPU to recommend for casual gamers or even a serious gamer with a firm budget to meet.